A homely, simple and regal experience in Chandigarh. Enjoy the vibe of home and enthusiasm of the city through the window of Hotel Victoria Regency in Chandigarh. The hotel has a touch of simplicity with plain white and peach walls and minimal framework. The rooms are well-equipped with traditional design pieces of furniture. The cushioned headboard adds to the comfort of the guests. The high-rise ceiling window eases up the room with natural light gushing in adding a homely touch. 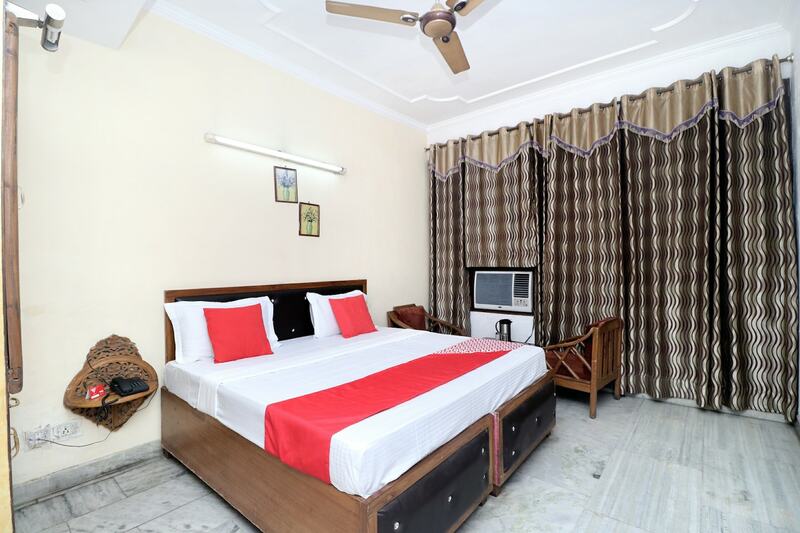 Guest can avail the facility of free Wi-Fi to stay connected with their friends and family. The kitchen is a convenient option for guests to beat their hunger pangs. Other facilities offered by the hotel include power backup, CCTV cameras and parking space. Various five-star restaurant in the neighborhood do not disappoint with mouth-watering cuisine and comfort food.